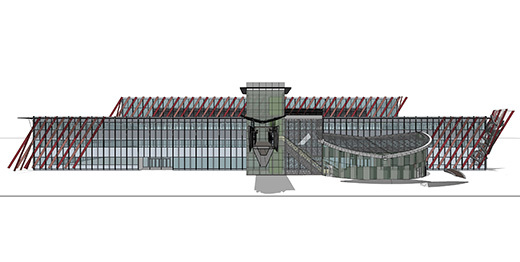 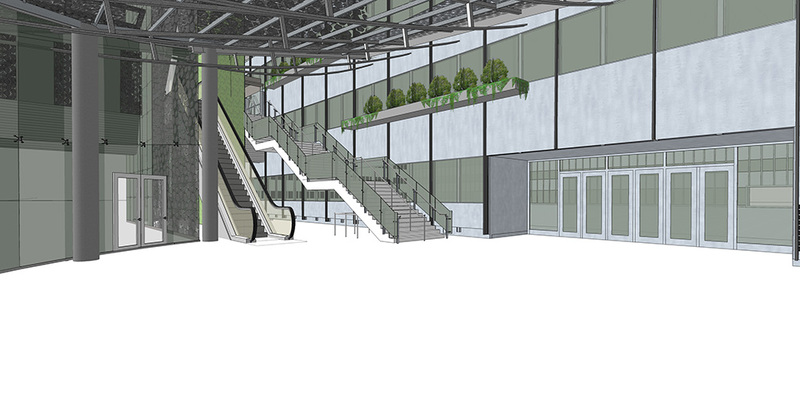 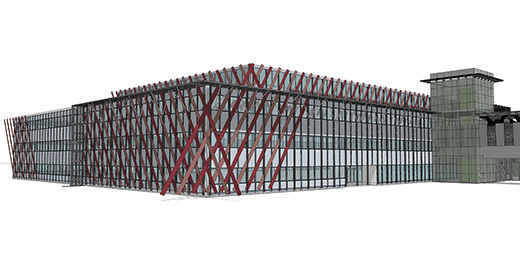 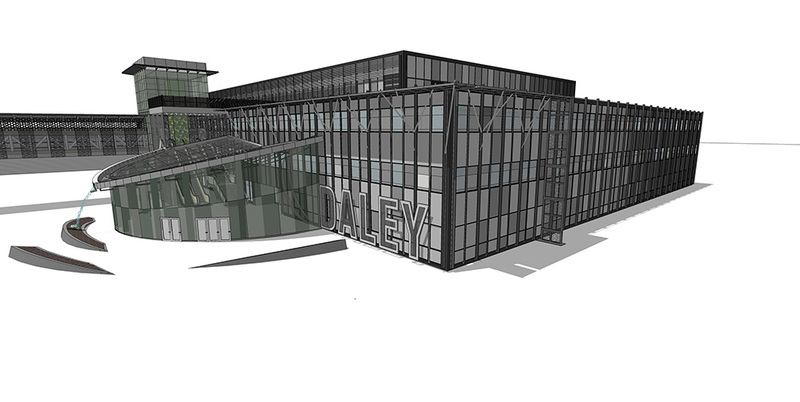 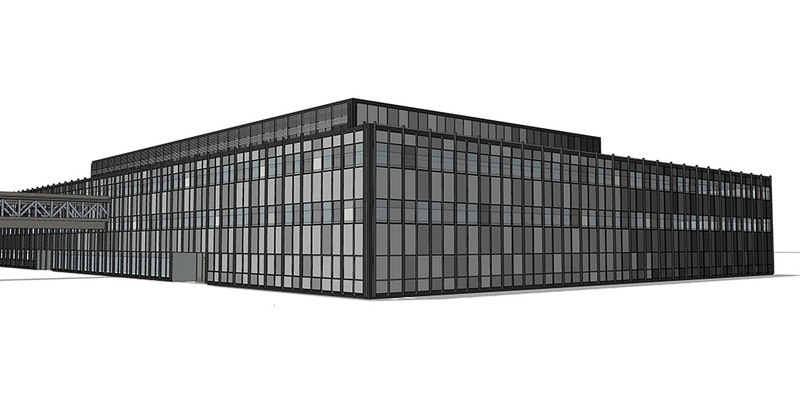 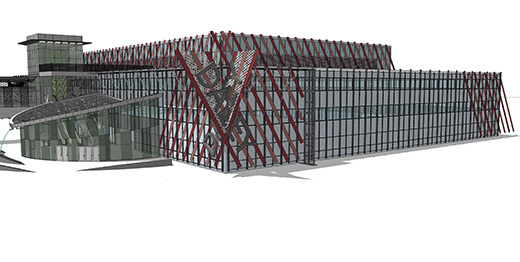 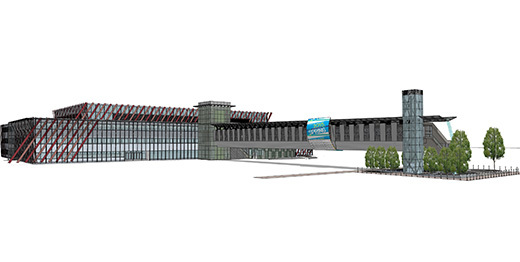 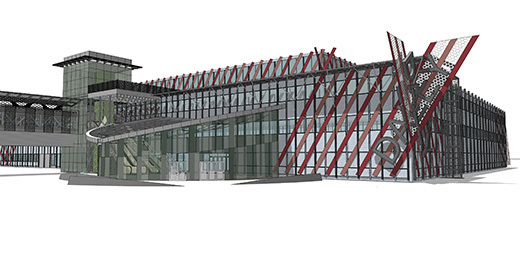 JAQ Corp, int is designing the new façade, in association with AWI for Daley College. 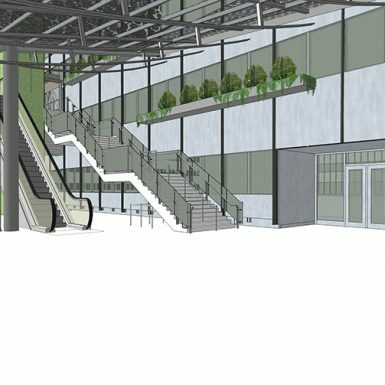 The project priortiy is to mitigate air & water infiltration by repairing the painted steel curtainwall, replacing the glazinng and repainting the façade. 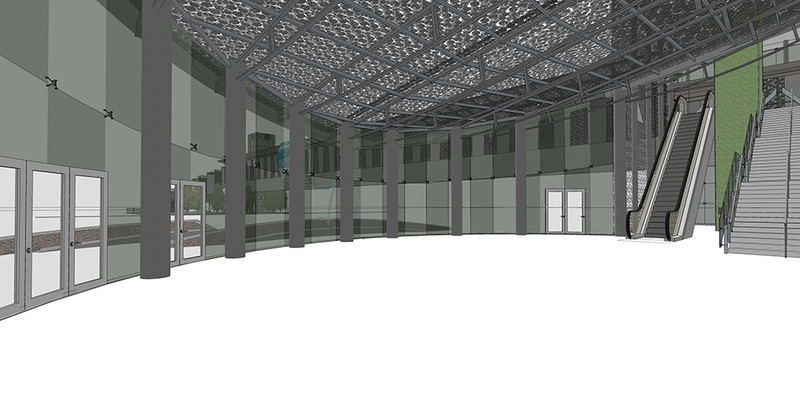 Once complete, this will be a LEED EBOM facility. 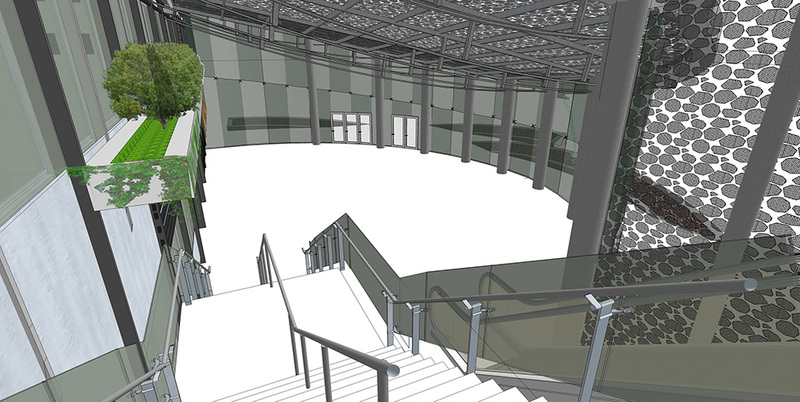 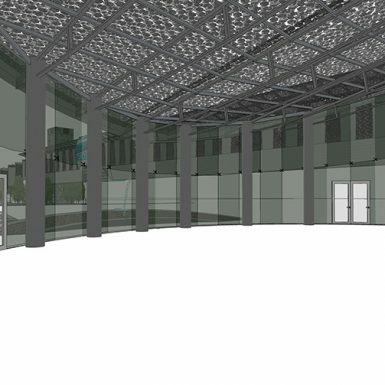 We accepted the challenge of preparing a future secured lobby to solve the issue of secured student access. 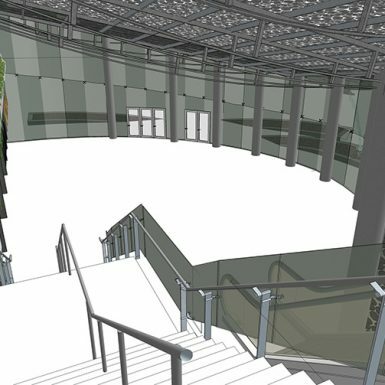 The concept includes renovating the bridge, moving vertical circulation out of the building and a multi-functional secured lobby.